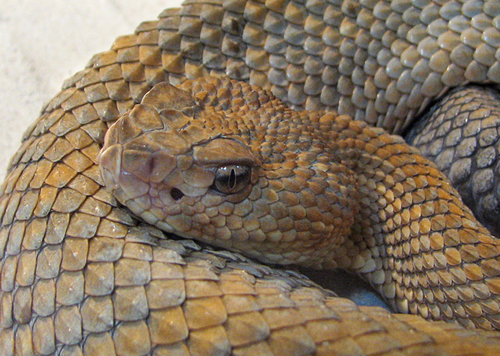 Croatus Horridus, or the American Timber Rattler is a poisonous snake of the pit viper variety that is native to America. It is particularly common in areas of dense forests such as Pennsylvania, West Virginia and Virginia as well as New York State. The adult timber rattler is a wide broad snake that grows in length from three to five feet, while the longest speciment that was reported was measured at about 74 inches, or a bit over six feet. No matter how you slice it, thats a lot of rattlesnake. As you can tell by the two photos here, they can range a lot in color, going from a nearly olive color to a dark, almost black. Each of them does have the signature rattle on its tail. Strangely, the rattle doesn’t sound like a “rattle” per se, but from first hand experience, it sounds more like a buzzing sound, rather more like a very angry insect. 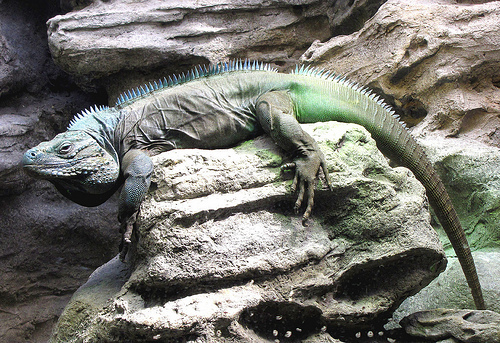 The females breed in early spring time and will give birth to live babies. The little ones are also venomous, quite capable of self defense and are themselves the possessores of venom almost from birth. The baby rattlesnake is not cared for by its parents after birth but is independent and ready to hunt.The average in a rattlesnake clutch is about 15, however they can have as many as 25 young ones at one time. One fact that not many people know about rattlesnakes is that they can and do use venom in their bite, but they do not need to envenomate a victim. 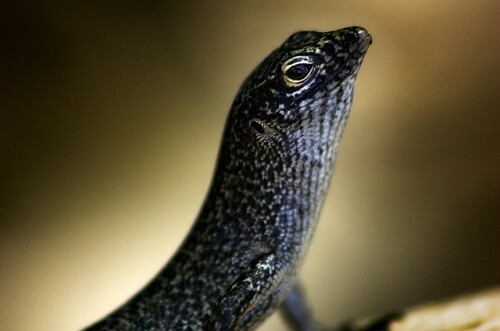 Sometimes they will give what is called a dry bite, or a non venom bite, however even though it is not envenomated it is still a quite serious wound. 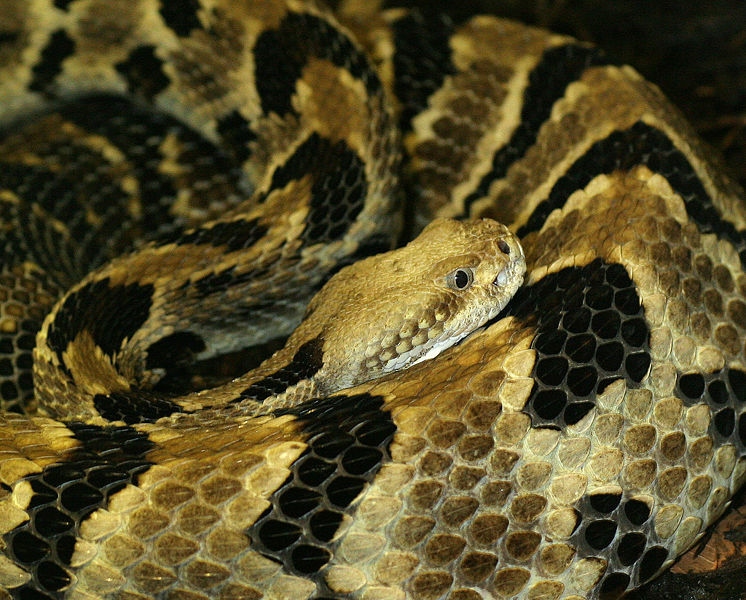 Science has taken rattlesnakes into captivity in many cases and “milks” them for the venom, to make the antivenin. The adult rattlesnake can only be milked about every other week. Thanks…I’m doing a science assignment and yur pics were great and the info was really useful. dont worry– I made a bibliography :) thanks again! IM working on my Science project. WAY TO DO IT AT THE LAST MINUTE!!!!!!!!!!!!! !